Do I Really Need a Bed Liner? The short answer is, yes, you do need a bed liner for your truck. And while we could stop there, it’s important as a truck owner that you know the benefits of each type of liner and what type of bed liner is the best option for you. It doesn’t matter if your truck is your daily driver or your off-road rig that only sees the trails every other weekend, you don’t need us to tell you that a durable bed liner is a vital asset to equip your truck with. 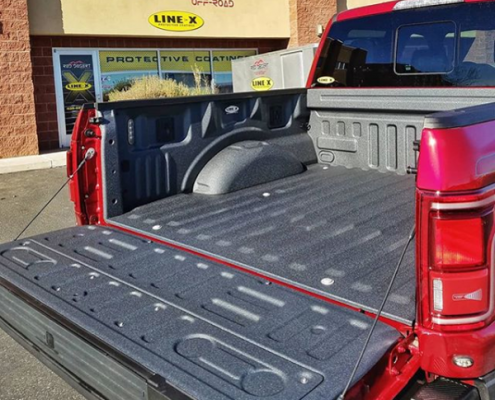 There are various types liners to choose for the bed of your truck from spray-on bed liners to drop-in bed liners, and even bed liners made from carpet, wood or rubber. In the industry, the most trusted bed liners are spray-on bed liners, but let’s take a look at the different types before you make your final decision. 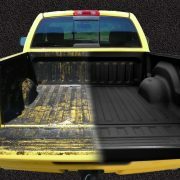 Spray-on bed liners are some of the most durable protective coatings you can furnish the bed of your truck with. Designed to provide an air tight seal, spray-on bed liners don’t allow for the regular wear and tear usually attributed to the elements, everyday chemicals, and cargo in the bed of your truck. Spray-on bed liners are aso wicked effective for protecting your beloved outfit from other types of damage like rust and corrosion. Though we may be little biased, we believe spray-on bed liners are superior to any other type of bed liner available on the market. A drop-in bed liner is just what it sounds like. A material (usually plastic) is form-fitted to adhere to the bed of the truck and then “dropped” in to cover the truck bed. 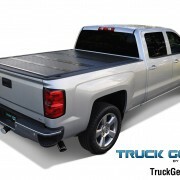 Once it is properly fitted to the truck bed, the drop-in bed liner is then bolted in.Though drop-in bed liners are generally less expensive than spray-on bed liners, they require a lot more maintenance. As the years pass, your drop-in bed liner may loosen or shift its position, leaving you with a only partially protected bed. Additionally, drop-in bed liners are not known for being air-tight like a spray-on bed liner. If you’re looking for a cheaper alternative to drop-in or spray-on bed liners, there are options available. 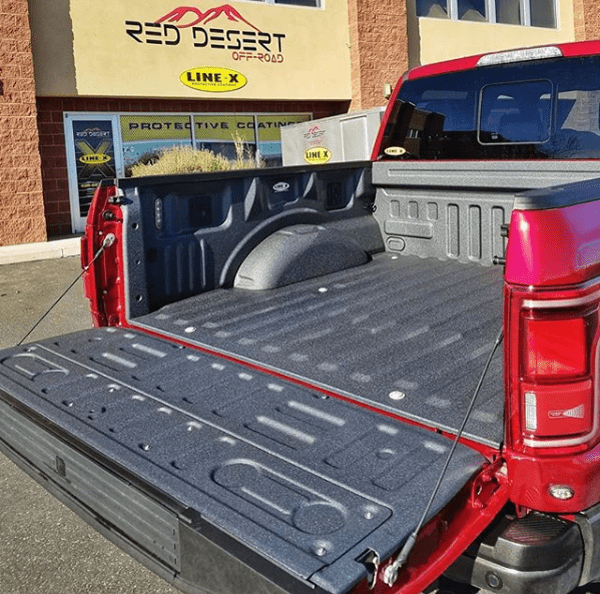 Though many are of the DIY persuausion, you can choose to furnish your truck bed with a protective bed liner made from carpet, wood, or rubber. However, these “bed liners” only provide a semi-protective surface and shouldn’t be used for long time periods, as both carpet and wood have a tendency to grow mold and/or rot from too much exposure to moisture. If you plan on driving your truck and transporting any type of cargo or exposing it to the unpredictable elements of the great outdoors, you need a bed liner that is going to last as long as the lease to your truck is. 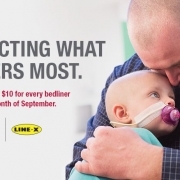 Browse LINE-X’s selection of spray-on bed liners if you’re looking for a bed liner that carries a lifetime warranty against cracking, bubbling, or flaking as long as you own your truck. 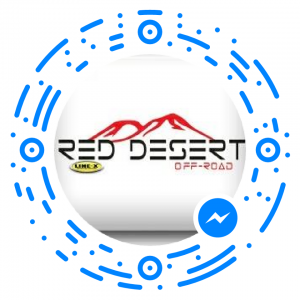 https://reddesertoffroad.com/wp-content/uploads/2016/01/red-desert-offroad-southern-utah.png 0 0 Alexa Pulley https://reddesertoffroad.com/wp-content/uploads/2016/01/red-desert-offroad-southern-utah.png Alexa Pulley2018-10-02 14:38:112019-01-31 09:57:28Do I Really Need a Bed Liner? Underrated St. George Off-Road Accessories Bedliners Vs. Bed Mats: Which One Should You Get?